An assortment of products that might be helpful in your magic. Old fashioned Witches' Whisk made of brambles. The bramble whisk is an old witch's tool used to cut through negative energy. Be careful in handling, because there may be a few thorns remaining. The thorns have been removed from the handle, which is wrapped in jute cord. The entire whisk measures approximately 23" long. Keep away from children and pets because the thorns are sharp. Mercury dimes contain real silver which makes them useful in various magical practices. 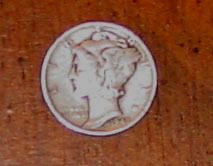 This dime is dated 1942. Displaying a stern image of the devil, or Diablo, this bottle is designed to be strung upon a cord and chain, allowing you to carry your ritual components and magical crafts and fetishes with you, wherever you go. Used for protection against the evil eye in the Middle East and North Africa, this spell oil bottle has been sculpted in the image of a Hamsa Hand. This fantastic oil bottle pendant has been created in the style of Raku clay molding to display an intricate design of a Pentagram. 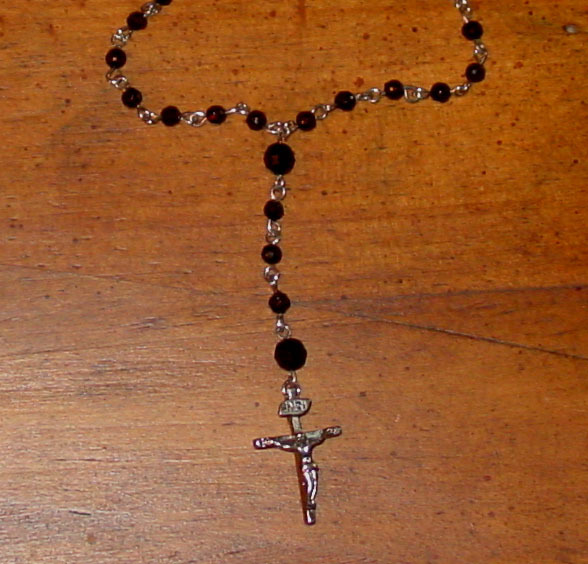 Rosary made with black beads. Approximately 12 3/4" long. 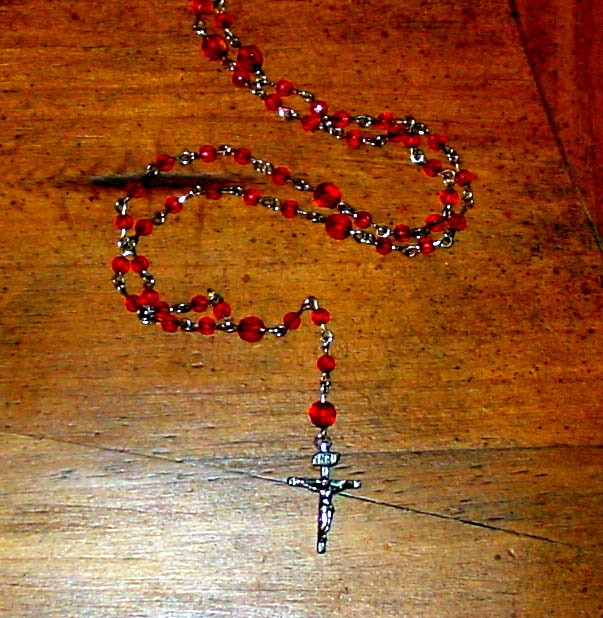 Rosary made with red beads. Approximately 14" long. 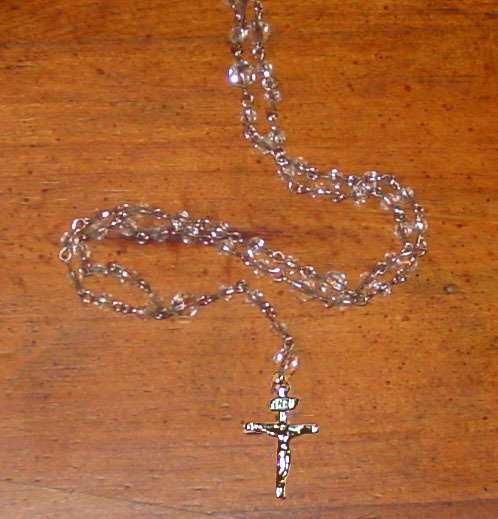 Rosary made with clear beads. Approximately 12 1/2" long. Rosary made with clear beads. 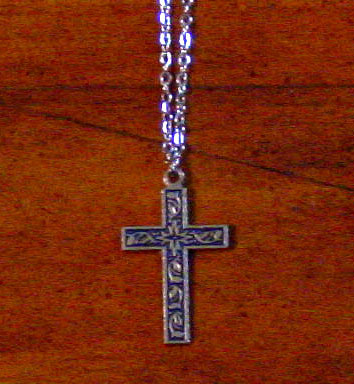 Cross is approximately 1 1/4" long on a 20" silvertone chain..
Small Madonna medal. 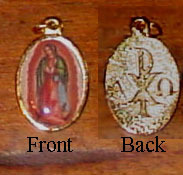 To see symbols on back side, click on "View Large Image" under the picture. Medal is approximately 1". 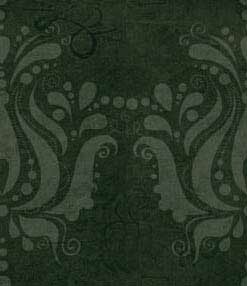 items will do any kind of magic on their own, since the magic comes from you the operator.